SIGHT 2.0 marks a significant upgrade from the original version. We’ve improved two main areas on the platform: the data content and the functionality. What makes this a big deal for WWF and for spatial conservation more widely? 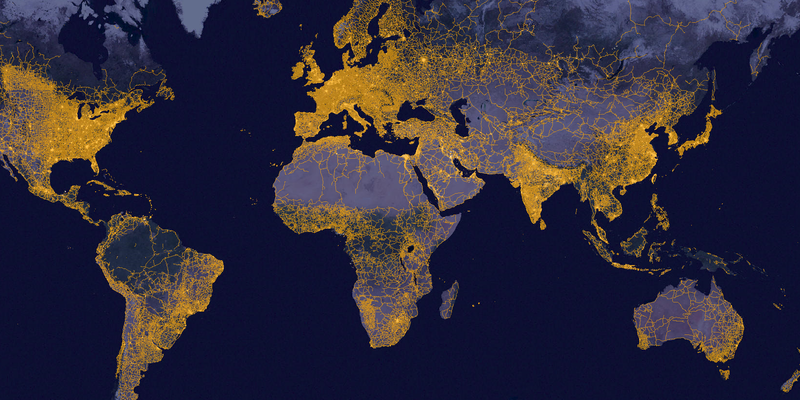 One of the biggest changes introduced to SIGHT 2.0 is a new improved global road map. The map is one of the most advanced of its kind, easier to work with, and more accurate than before. Although road maps seem a dull area, roads play a huge part in conservation, allowing organisations to understand which areas are accessible and by what means. And there are more roads than we think. By 2050, there are estimated to be 25 million kilometres of new roads paved globally – that’s enough to encircle the Earth more than 600 times. And what’s more, for every kilometre of legal road, there’s estimated to be 3 kilometres of illegal roads. So it’s more important than ever for WWF and other environmental organisations to find new ways of working with these roads. Now, SIGHT contains near global coverage of oil and gas wells, pipelines, and rigs – an important addition to our oil and gas concession datasets. Our world’s species are now easier to incorporate into spatial monitoring than ever, with SIGHT now provides access to over 70,000 IUCN species records. This data isn’t just available, but able to be utilised and analysed in a number of ways. For instance, you can see which IUCN Red List species exist in a given pixel on the map, or within a specific conservation asset such as a protected area. SIGHT provides these in an intuitive colour scaling and reporting format – making it data that’s easy to use. SIGHT 2.0 has a host of new widgets and tools to help you do cool things in your reports. New tools available for satellite imagery, help you pull in NASA and ESA imagery for a given region, with factors for cloud cover and time. Options for basic remote sensing, such as NVDI, are also available. Other widgets focus more on reporting. A new reporting tool allows you to select an asset and understand its overlap or proximity to a host of other assets. It will then provide you with a spreadsheet pulling all this data together in a useful manner. We also provide a complete data dictionary, so you can understand even the oddest of named data fields. Notifications are now available! SIGHT 2.0 now allows you to setup email updates, so if a new development occurs in a region you’ve selected, you’ll get an e-notification straight away. Arguably the biggest upgrade to SIGHT is the integration of EarthTime.org. This new development provides both new data and new functionality. EarthTime is a platform in its own right and allows you to view time-lapsed datasets such as satellite imagery, or coral reef bleaching events. 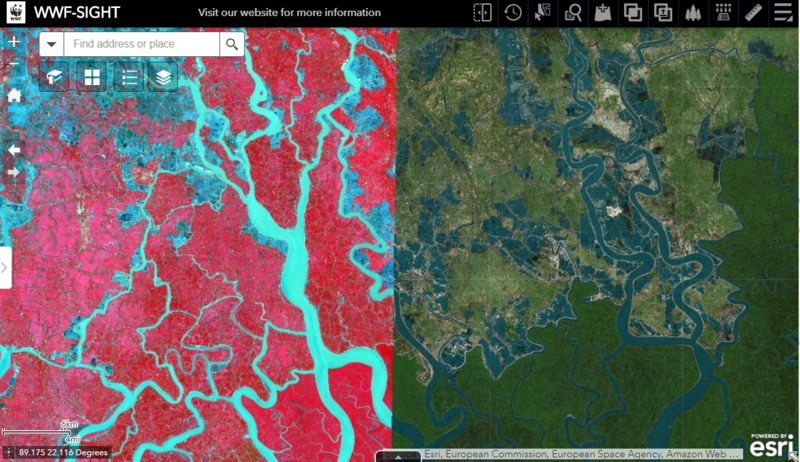 Combined with the wider SIGHT 2.0 data portfolio, it offers a truly powerful means of quickly seeing how things have changed on the ground in areas of interest since the mid-1980s. New data, new functionality, new SIGHT! If you’d like to learn more about SIGHT and how the upgrades might support your work, or you’d like more information on additional training, please get in touch.